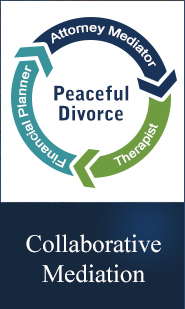 To book your free mediation orientation, please call Peace Talks at (310) 301-2100. Mediation orientations are free of charge and private. Just you and your spouse, partner, or other parent will be present, along with one or more of the Peace Talks mediators. Orientations generally last 45 minutes to an hour depending on how many questions you have. Orientations give you the chance to meet one of our mediators, to see our offices, and to get your questions answered so you can decide if mediation might work for you.